We transport your luggage/bike from any accommodation in any step of Francigena Way, from Lucca to Rome, and from Assisi to Rome. Herewith you find the transport Prices.To reserve your luggage transport in Francigena Way you can fill the form or send us an email. Do you need help to organize “your” Francigena Walking ? 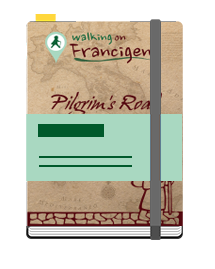 If you want tips from experienced and professional on Francigena Way click here.